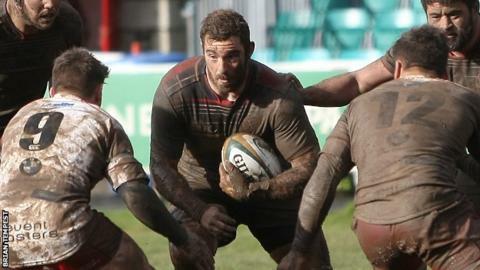 Cornish Pirates twice threw away a lead as they lost 54-46 at Bedford in a try-filled Championship clash. Having trailed 12-0 through tries from Tom Riley and Tom Duncan, Bedford went over four times to make it 26-12. Matt Evans and Alex O'Meara scored to put the Pirates 29-26 ahead at the break and Joe Atkinson added another shortly after the re-start. But Blues scored four tries to go 54-36 up before Riley and Alex Cheesman added consolation touchdowns for the Pirates. Henry Taylor, Michael le Bourgeois, Paul Tupai and Dean Adamson went over for Bedford in the first half. Adamson scored scored two more after the break, with Harry Wells and George Perkins also crossing. The bonus-point loss left the Pirates eight in the Championship table, while Bedford stayed fourth.